Michael, 15, started playing the violin at age four in the Suzuki studio of Mrs. Pat Thayer in Williamsport, PA. He currently studies with Mr. James Lyon of the Pennsylvania State University. 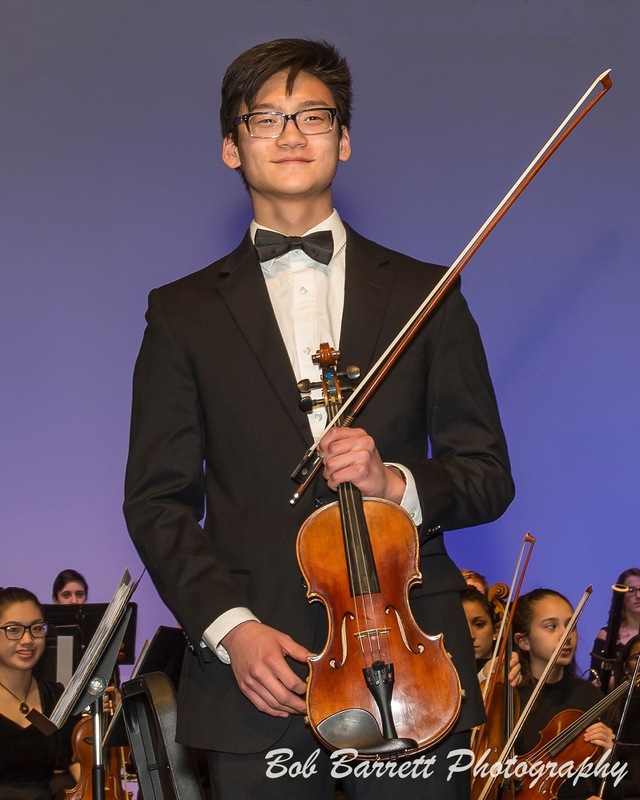 Michael is a Sophomore at the Williamsport Area High School and participates in the Williamsport String Quartet, Williamsport Symphony Youth Orchestra, WAHS Orchestra and Choir, the Millionaire Strolling Strings, and sat as the Concertmaster for 2018 PMEA District 8 Orchestra. He has also performed with this past summer with the Williamsport Symphony Orchestra. In 2017, at the MTNA State Competition at Indiana University of PA, he was selected as the Pennsylvania State Representative to the Eastern Region, where he was selected as the alternate. In the Spring of 2018 Michael was selected as a winner in the Bloomsburg University Young Classical Artists' Competition, performed in the winners’ recital at the WVIA studios in Pittston, PA. Michael was selected as Concertmaster of the 2018 and 2019 PMEA District 8 Festival Orchestra. Michael is an avid runner and participates in the WAHS Cross Country and Track Teams. His goals are to enter a music conservatory to prepare for a career in music.